Ah, winter: the season of snow days, hot drinks, puffer jackets, cozy nights in—and dry, itchy, flaky skin. Winter means dropping temperatures and low humidity levels, which can leave even the dewiest complexions dull and dehydrated. Luckily, you don’t need to invest in an entirely new skincare regimen to keep your skin at its best. Instead, making small tweaks to your routine can make a big difference. As you head into the coldest months, here’s how to keep your glow. Even acne-prone skin can benefit from a boost of hydration in the winter. Adding water-based, hydrating mists, toners and essences to your routine can be a great way to get your moisture fix without risking a breakout. Look for lightweight humectant ingredients like aloe vera, hyaluronic acid, glycerin and snail mucin that you can layer under your regular moisturizer without adding extra weight. Some of our team’s favorites? Bioderma Hydrabio Tonic Lotion (a hydrating toner with brightening niacinamide), Pai Back to Life Hydration Serum (a milky-gel serum for dehydrated skin) and Chemist Confessions Aquafix (packed with best-in-class humectants and soothing ingredients). We’ve all heard that proper exfoliation is key to a bright, even glow. Cold weather doesn’t mean you should stop exfoliating all together—but you should be smart about it. Opt for alpha hydroxy acids like lactic acid and mandelic acid that exfoliate while also doubling as humectants. If you prefer a physical exfoliant, try a gentle, non-abrasive scrub like The Clean Dirt by May Lindstrom or a cleansing cloth. 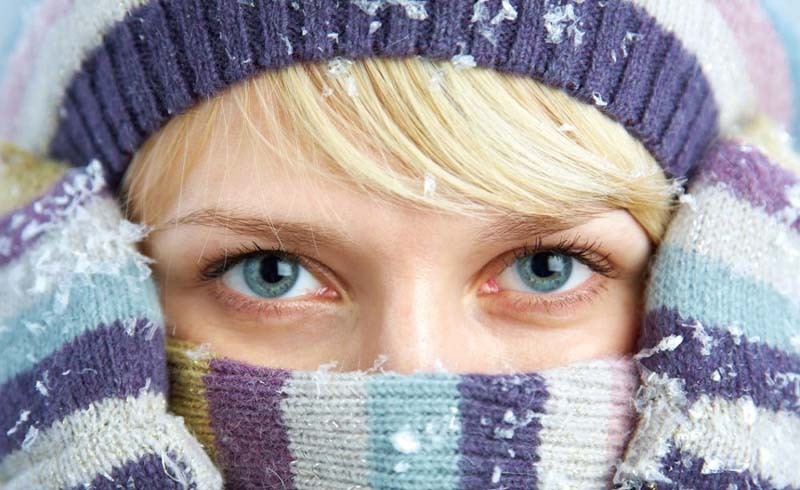 Ask any dermatologist, and they’ll tell you that cold weather calls for thicker moisturizers. That’s because moisturizers with thick, rich textures tend to include more occlusive ingredients, which seal in moisture and strengthen the skin’s protective barrier. Depending on how naturally oily your skin is, you can go from lightly creamy (Caudalie Vinosource Moisturizing Sorbet Cream is a good example) to extra-filthy-rich (Omorovicza Gold Rescue Cream, if you want to pull out the big guns). Dry weather doesn’t discriminate when it comes to your skin— you’ll be dealing with dry, flaky bits from head to toe. From chapped lips to ashy elbows to windburned noses, a good all-purpose balm can do it all. Find one you like and stash it everywhere: in your bag, on your nightstand, in your car…we could go on. BY TERRY Baume de Rose is a classic standby, while rms beauty Lip & Skin Balm is, according to one reviewer, “literally something you should not go through life without.” Well-said.